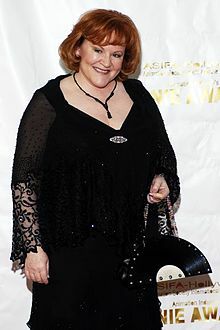 Edie McClurg (born July 23, 1951) is an American stand-up comedian, actress, singer, voice artist, and comedienne. She is known for her roles in Ferris Bueller's Day Off, Planes, Trains and Automobiles, Carrie, and in Frozen. ↑ "Edie McClurg Biography: About Edie McClurg". Yahoo Movies. Yahoo. Retrieved 18 July 2013. Place of birth Kansas City, Missouri, U.S. This page was last changed on 31 August 2017, at 00:49.